Fifteen years after being inspired watching the IAAF World Indoor Championships in Birmingham as a 10-year-old, Andrew Pozzi has described being “absolutely over the moon” with his own gold medal moment at the event. As he had told AW ahead of the championships, the very first athletics competition the world 60m hurdles champion attended as a spectator was the British trials in the West Midlands city ahead of that winter’s World Indoors in the same venue. “I can’t even begin to describe the feeling and the atmosphere in that stadium,” says the 25-year-old after being back in Arena Birmingham, which was formerly known as the NIA. “These championships have just been amazing from start to finish, on a personal level, and I think Birmingham has delivered an amazing championships all round,” adds the 2017 European indoor champion, who grew up in the nearby Stratford-upon-Avon. On Sunday, Pozzi was just 0.03 outside his PB, clocking 7.46 in both his semi-final and final to beat US champion Jarret Eaton by 0.01 and claim his first global title. As the home favourite and GB co-captain, did he feel the pressure? “I honestly felt great!” he says. “I think it’s a bit different for me this time because I haven’t had the best indoor season by my standards compared to say last year where every time I turned out I ran a world lead basically. On jointly leading the host nation team with fellow co-captain Shelayna Oskan Clarke, he adds: “This has been my best championships by an absolute country mile, it was such an honour to be voted captain. 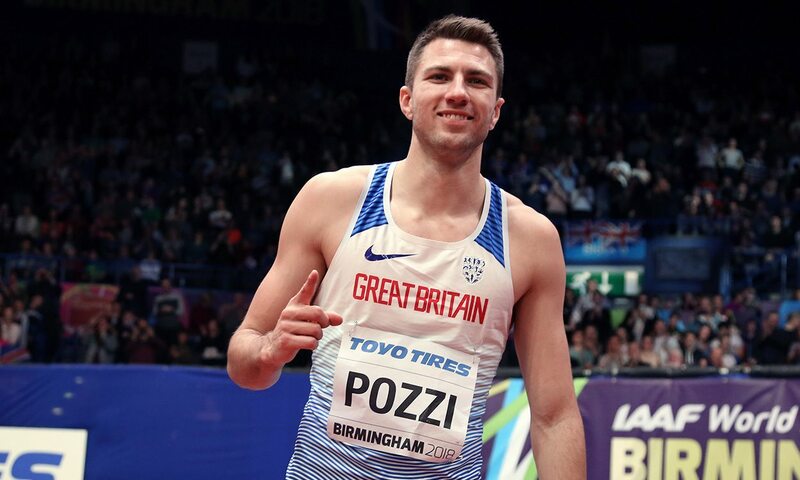 Pozzi had spoken about being “captured” by the hurdles as a spectator in Birmingham as a youngster and his own performance at the weekend will no doubt have encouraged many other aspiring athletes, especially after the injury setbacks he has overcome along the way. “It was such an important part of me becoming an athlete,” he says, reflecting on the 2003 event. “That was the first time that it really grabbed me and I watched all of it and felt inspired and it’s just absolutely mad to come and win now. “I was stopping for photos for so long and I honestly had all night to do it,” he adds. “I remember being in that exact same position – I remember which athletes spoke to me, which athletes I got a picture with.